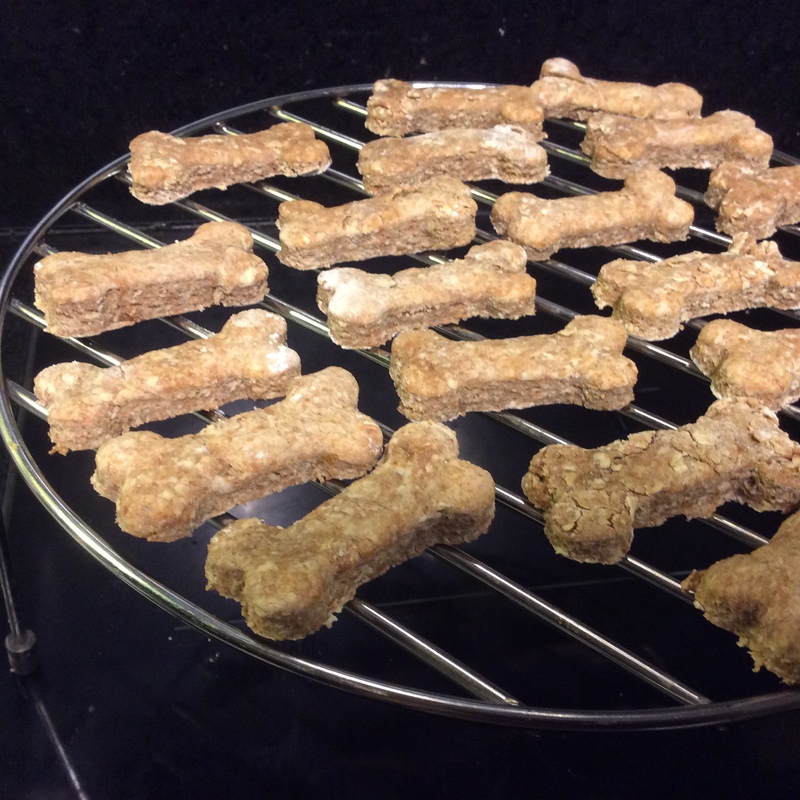 Tasty and healthy alternative to shop bought dog biscuits. 1. Wash and chop the plums discarding any bruised bits and the stones. 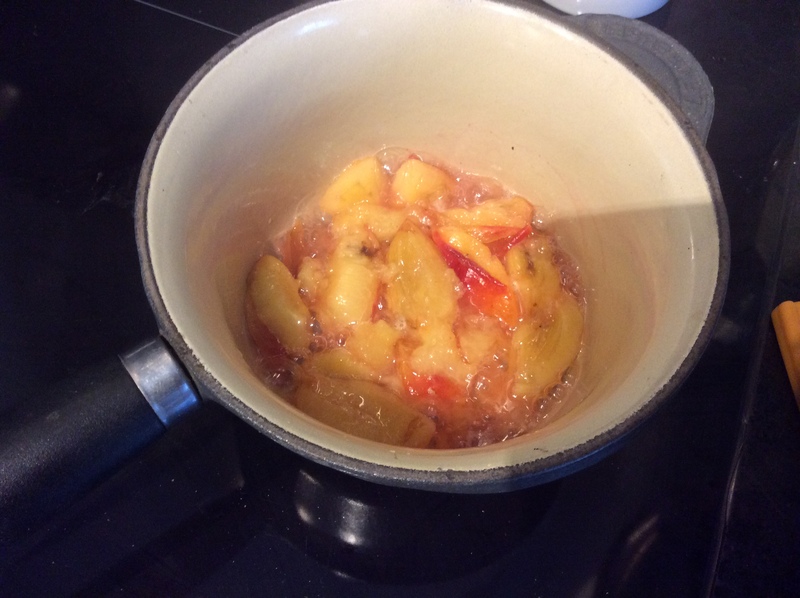 Lightly heat in a saucepan with 2 tablespoons of water until the plums are soft, approximately 5 minutes. Remove from the heat and then puree the plums. You need 1/4 cup of finished puree for the biscuits. 2. 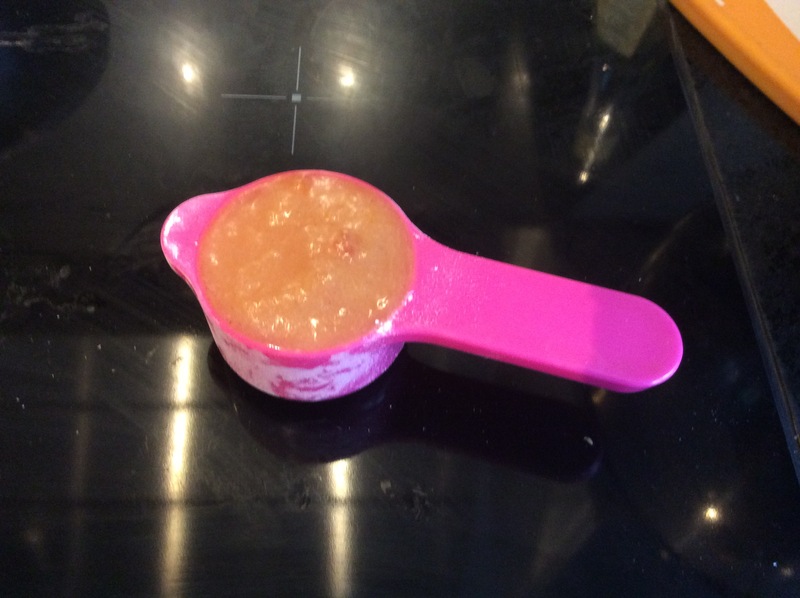 Mix the plum puree into the other ingredients, you made to add 1 to 3 tablespoons of water to enable you to get a firm but combined biscuit dough. 3. 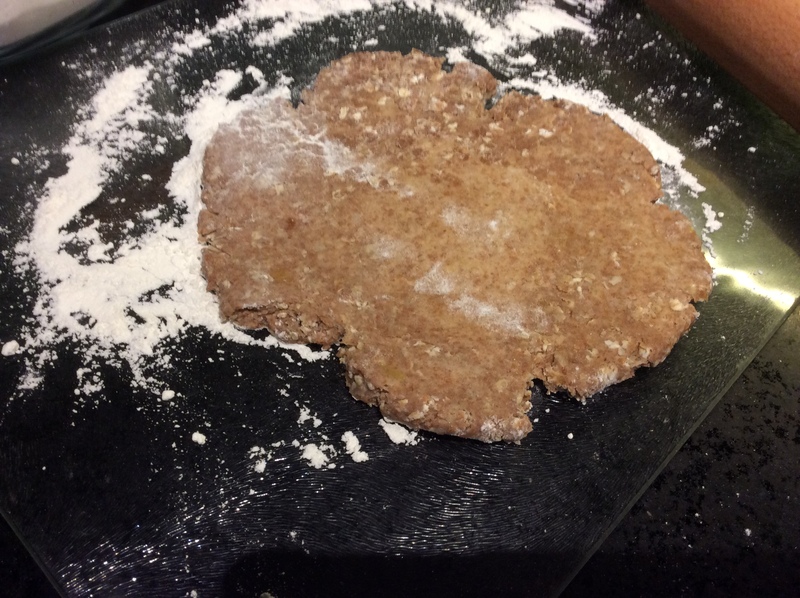 Put the biscuit dough into a sandwich bag and chill the dough for 30 minutes in the fridge. 5. Lightly dust your work surface with flour. Roll the dough out till it is about 1cm thick. 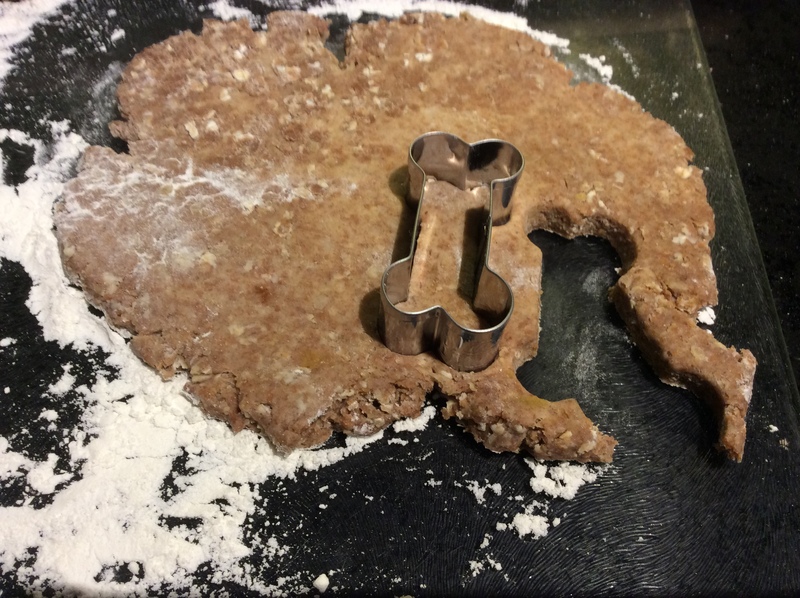 Cut out using a biscuit cutter. I have a bone shaped one. Place on a lined baking sheet. Cut out the remaining biscuits. Re roll the dough when needed. 7. Leave to cool on a wire rack, before serving. 8. Biscuits will keep for 1 to 2 weeks in an airtight tin. Chester and Annie love these so mine won't last more than a week! 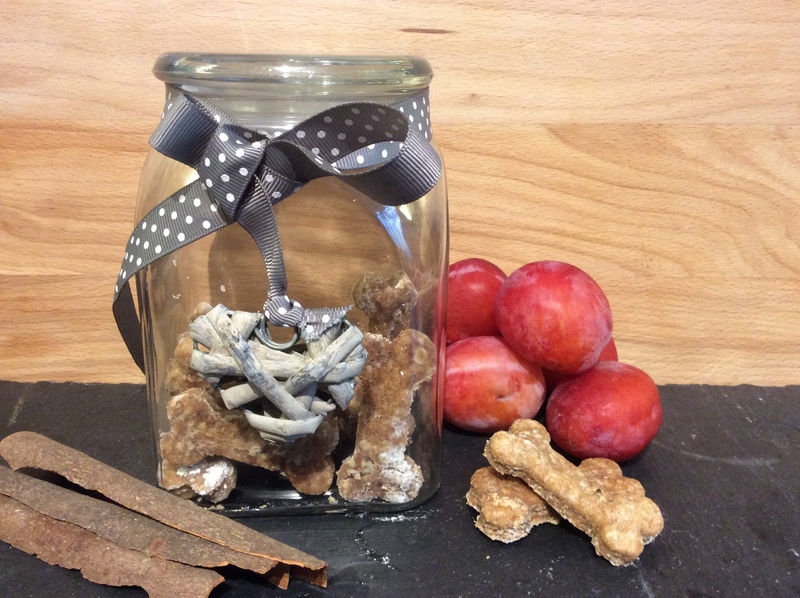 These plum and cinnamon dog biscuits have been inspired by my new baby Chester. Chester is a cockerpoo and at the time I am writing this he is 4 months old. Its currently plum season and one of his favourite things to do is to go out into the garden and grab a plum from the tree. I’ve checked and it is safe for dogs to eat plums as long as they don’t eat the stones. Luckily he is clever enough to spit them out. This recipe combines some of the windfall plums with healthy spelt flour, oats and cinnamon. 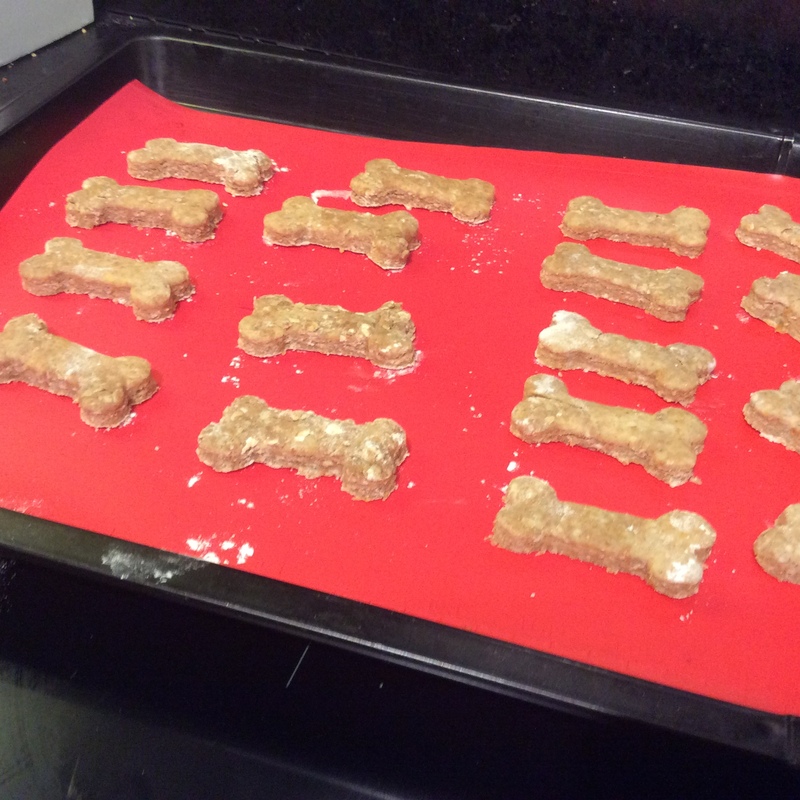 Cinnamon is also ok for dogs to eat as long as they don’t have too much. 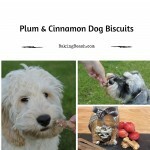 These plum and cinnamon dog biscuits are good enough for Mum or Dad to eat as well and would be great if you are trying to cut out sugar. 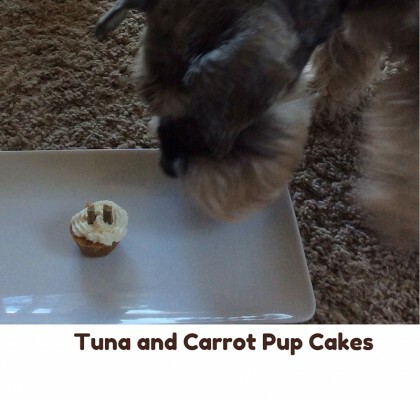 Both Chester and my older dog Annie both loved these. You can see from the pictures that they were half gone in a split second. Haven’t had much luck convincing my friends to try them, probably down to the bone shape but trust me they do taste nice. I will probably have to rebrand them as well. 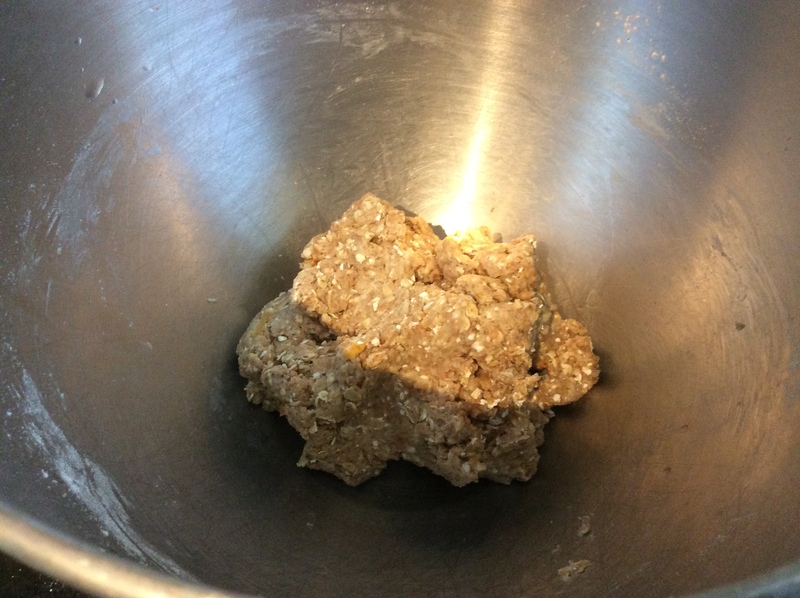 The quantities I have given here makes about 16 small biscuits.